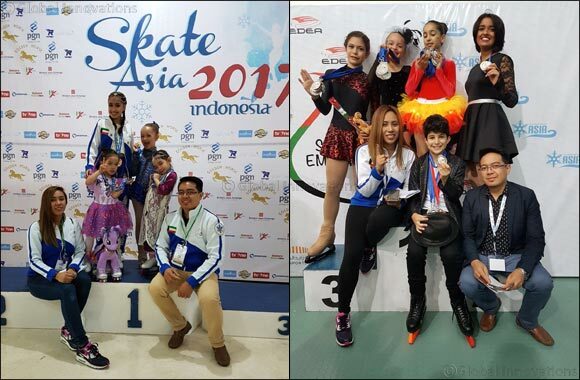 Kuwait, 25 September 2017: Promenade Ice, the first center for ice skating classes and personalized training in Kuwait is hosting a specialized ice skating program for children aged 6 to 12 years old at The Promenade, the family shopping and entertainment destination. Beginning on October 1, the ‘Learn to Skate’ program will run for six weeks, with sessions twice a week on Sundays and Tuesdays or Mondays and Wednesdays, giving children an in-depth introduction into skating with the aim of providing them full confidence to skate freely on the ice by the end of the program. Hosted by Ice Skating Institute Asia Certified Figure Skating Coaches from Promenade Ice Skating Academy, the comprehensive program will guide kids through basics, teach new skills along the way and improve techniques to be able to skate independently in a safe and enjoyable learning atmosphere. The award-winning coaches designed the beginners’ program to start with an orientation to ice skating, followed by stretching and warm-ups and a session on balancing on the skates. The course is designed to take the children through gradual progression, interspersed with fun games and activities, and culminating in a review of the 10 manoeuvres, from skating forwards and backwards to turning, stopping and gliding. The children will be presented with awards at the end of the program. Training sessions will be held after school; at Promenade Ice every Sunday and Tuesday or Monday and Wednesday, with time slots available from 4pm to 5pm; 5:15pm to 6:15pm or 6:25pm to 7:25pm.